The Super Eagles of Nigeria have once again been placed in the same group with Argentina in group D of the 2018 world cup in Russia. In the draw which was done yesterday in the Russian capital Moscow, Nigeria was also drawn with Iceland and Croatia. 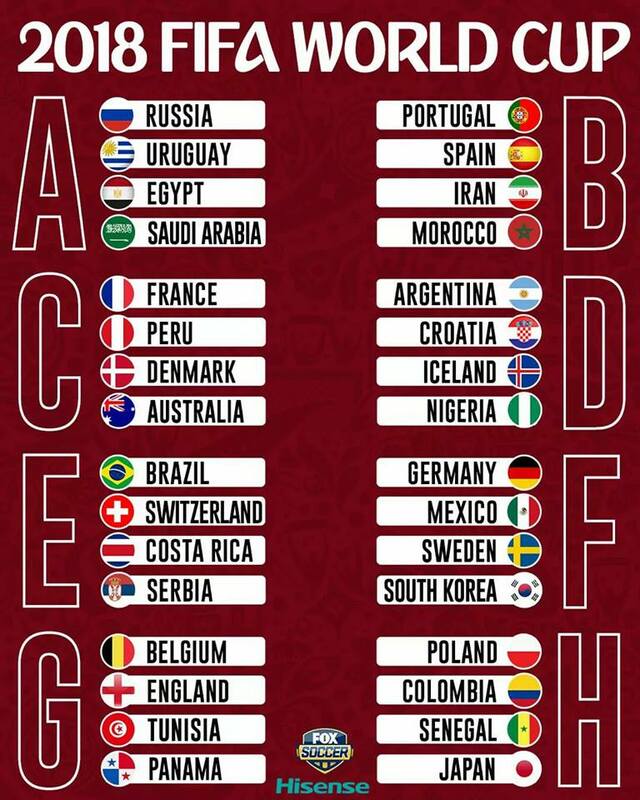 Tunisia were drawn with England, Belgium and Panama in Group G.
Africa’s highest ranked team, Senegal is in Group H: with Poland, Colombia and Japan. 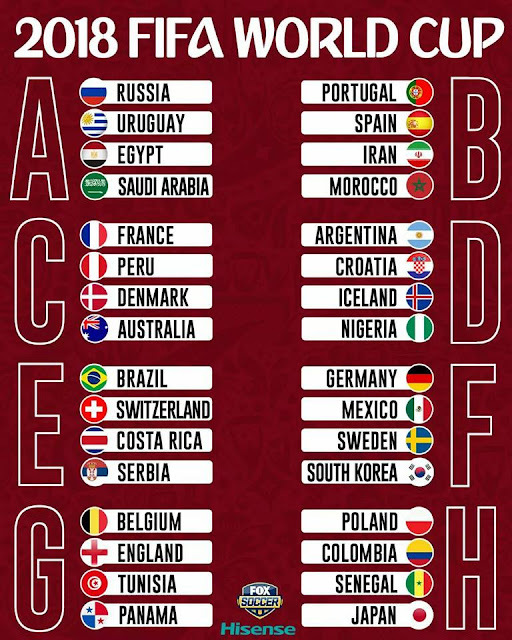 World champions, Germany are in Group F with Mexico, Sweden and South Korea while five-times winners Brazil are in Group E alongside Switzerland, Costa Rica and Serbia. Group B which is probably the group of death contains: Portugal, Spain, Morocco and Iran. The 2018 tournament takes place in 12 stadia across Russia between 14 June and 15 July next year.